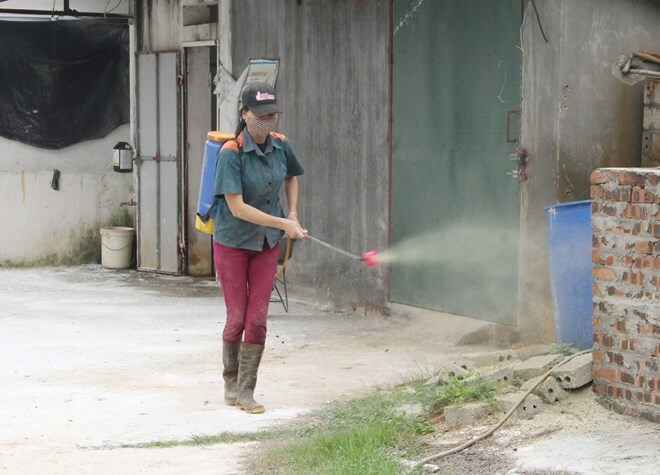 Hanoi (VNA) – The UN Food and Agriculture Organisation (FAO) and the World Organisation for Animal Health (OIE) have sent a delegation of experts to Vietnam to assess the situation of African swine fever (ASF) in the country. The delegation is tasked with advising the Ministry of Agriculture and Rural Development on the best methods to dispose affected pigs and how to optimize available resources to stop the spread of the ASF virus. The experts will propose immediate, short-term and mid-term measures to address ASF outbreaks and work to combine those measures with Vietnam’s emergency response to ASF and the region’s contingency plans for ASF, creating the foundation for Vietnam to build its own contingency plan for the disease. The delegation has visited localities where there are ASF outbreaks and held meetings with officials of relevant agencies and local authorities to evaluate measures already undertaken and the use of resources to cope with outbreaks, along with investigating the pace of ASF spread. The experts said local authorities had been making great efforts to strictly control the transport and trading of pigs and pig products in areas with ASF outbreaks. They noted that low biosecurity and the habit of using kitchen leftover as pig feed of small pig-raising households are factors behind the spread of the disease. The delegation recommended that Vietnam declare AFS a national emergency, create zoned areas to prevent the virus from spreading, and develop standardized procedures on pig culling and carcass disposal. Vietnam has an estimated 2.5 million households engaging in pig raising. "The loss of pigs due to ASF infection and control measures leads to a heavy economic burden to many rural families," Albert T. Lieberg, the FAO representative in Vietnam, said following meetings last week with Vietnamese authorities. He affirmed that along with other international partners, FAO will assist the Vietnamese government in coping with the disease in order to minimise losses.